Basal levels of Type I IFNs, including IFN-β, are not fully understood. They are believed to be important for robust response to pathogens and may play additional roles in cellular homeostasis. 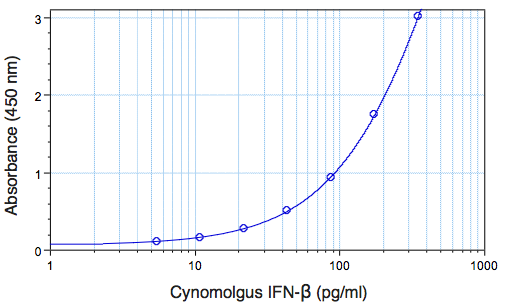 The VeriKine Cynomolgus IFN-beta ELISA has been developed to measure low/basal levels of non-human primate interferon beta (Macaca fascicularis IFN-β) in a variety of sample matrices including serum, plasma and tissue culture media (TCM) by sandwich enzyme-linked immunosorbent assay (ELISA). 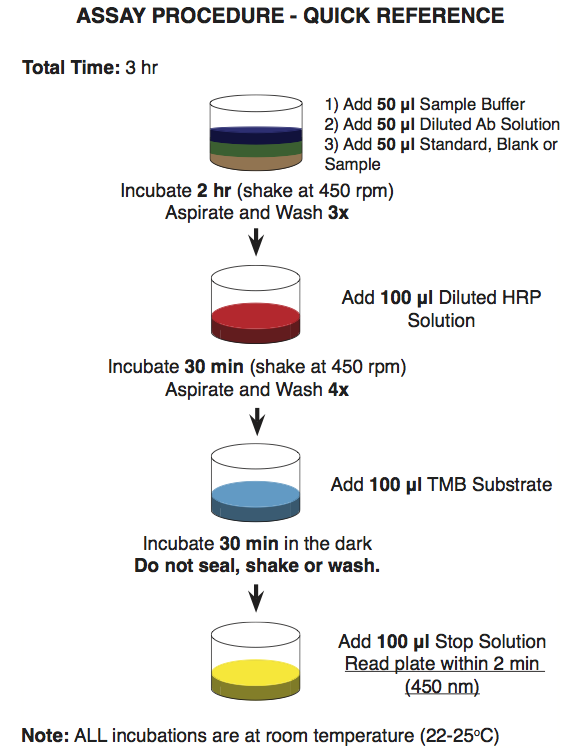 Interferon binds to plates coated with antibody and detection is accomplished using a biotinylated detection antibody followed by streptavidin conjugated to horseradish peroxidase (HRP). The substrate is tetramethylbenzidine (TMB). Krause et al. (2005). Pharma Ther. 106 (3):299-346. Weinstock-Guttman et al. (2008). Expert Opin Biol Ther. 8(9):1435-47. Lee et al. (2007). Mol Cells. 23(1):1-10. Heim. (1999). J Recept Signal Transduct Res. 19(1-4):75-120. Taniguchi et al . (2002). Curr Opin Immunol . 14(1):111-6.